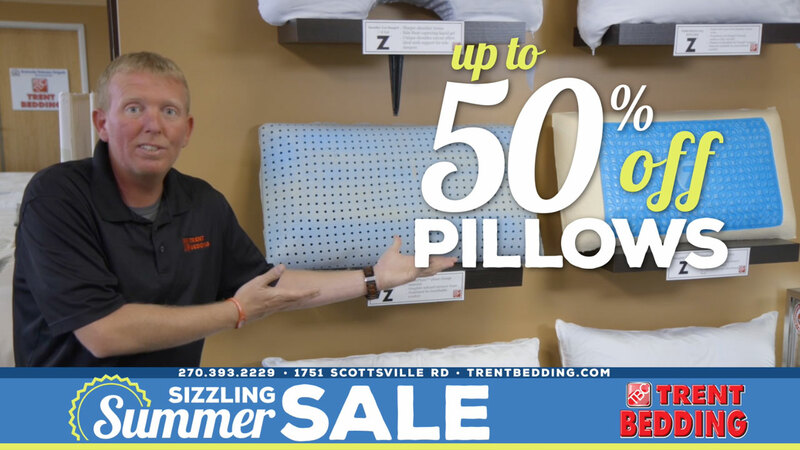 Trent Bedding Sizzlin' Summer Sale Deals are Hot Hot Hot! 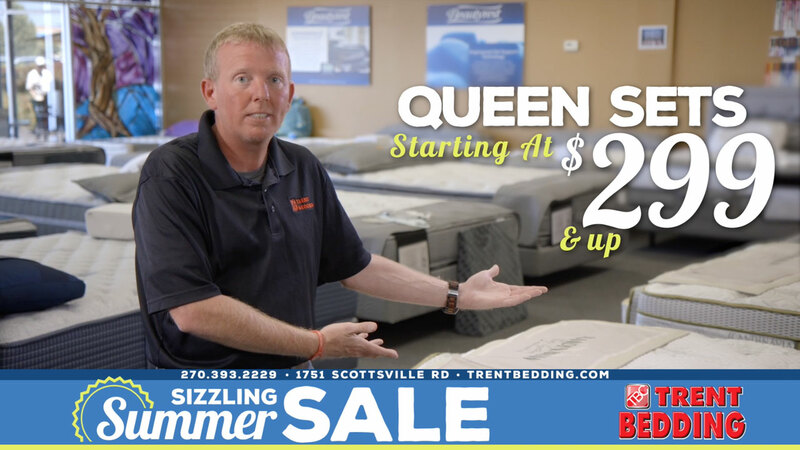 The Trent Bedding Mattress Company 2018 Sizzlin’ Summer Sale is going on right now and the deals are HOT HOT HOT! You can save up to 50% off all of Trent Bedding’s cooling pillows by simply visiting the store located at 1751 Scottsville Road in Bowling Green, Kentucky. Stop by, purchase a pillow, and grab a quick selfie with Lil Trent’. He’s ready for summer and we hope you are too! Want to know what other deals we have that are HOT HOT HOT? All of our mattresses are currently on sale, and we have Queen Sets starting at $299 (and up) in the Trent Bedding Showroom! The Sizzlin’ Summer Sale deals keep on rolling. Save big with a Queen Mattress and Adjustable Base for just $999.00 during the Sizzlin’ Summer Sale at Trent Bedding Mattress Store in Bowling Green, Kentucky. 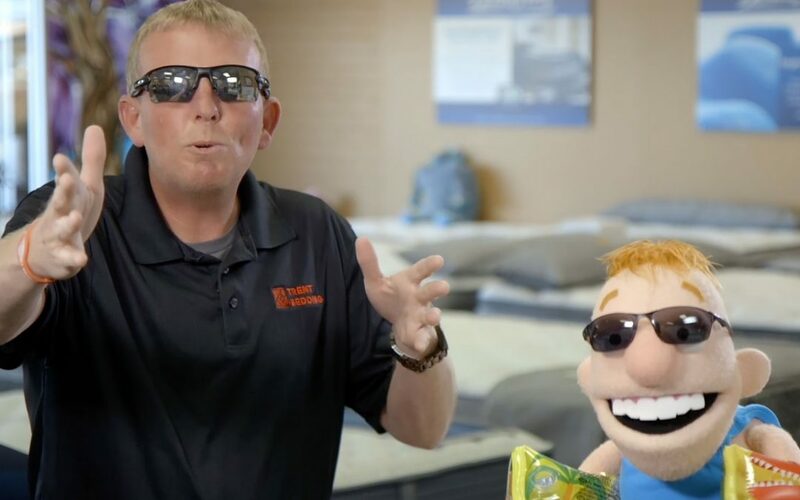 Trent and Lil’ Trent love saving you money and helping you get a great night’s sleep. Take a minute and check out our latest commercial below. For even more laughs, watch the fun commercial outtake below as well. Come see us at Trent Bedding. For more information about products at Trent Bedding Mattress Company, visit our contact page or call 270.393.2229 during business hours.